Dubai Travel Guide for Food Lovers - Best Restaurants and Attractions! Futuristic, sparkling new, multi-cultural, and always pushing the limits, is Dubai, United Arab Emirates – a city that sprouts out of the sand banks of the Persian Gulf. In this Dubai travel guide for food lovers, I’m going to list the best restaurants I tried during my trip to Dubai, and also give you a few extra practical travel tips for your visit. Dubai is packed with international restaurant – if you want a burger or steak, Brazilian bbq, Turkish food or Thai food – it’s all in Dubai. 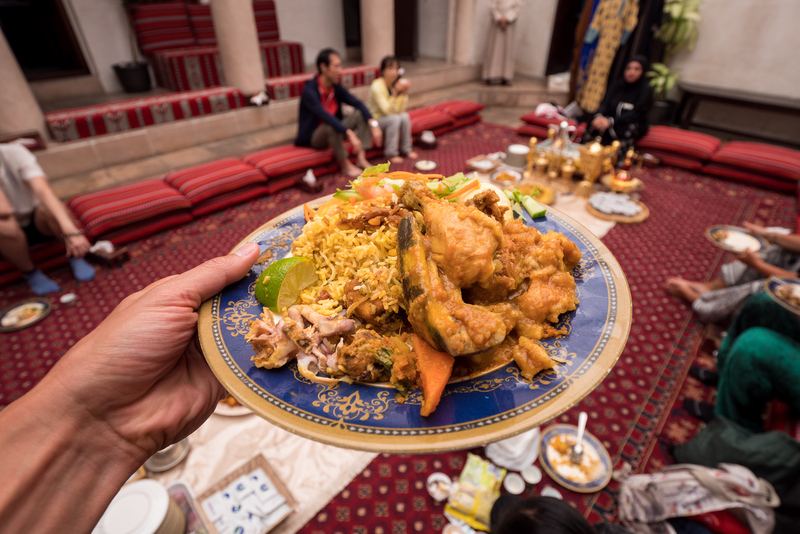 But what’s interesting about Dubai is that Emirati food is not all that commonly found at restaurants, the reason being, most Emirati’s still eat local food at home. However, that scene is changing, and you’ll find some traditional Emirati restaurants, and also restaurants that serve cuisine from the Arabian Peninsula. Below, for this Dubai travel guide, I’ve listed the best restaurants in Dubai that I had a chance to try during my short visit. T-shirts available in the store now! Al Fanar is one of the few traditional Emirati restaurants, and they have an impressive menu that consists of everything from Emirati rice and meat feasts to desserts, snacks, and even breakfast dishes. I ate at Al Fanar Restaurant along with my friend Peyman, and we decided to eat mostly breakfast dishes and some dessert snacks, all of which were fantastic. Mandi is originally a Yemeni dish of rice topped with meat that’s traditionally cooked in an underground oven until it literally falls apart. 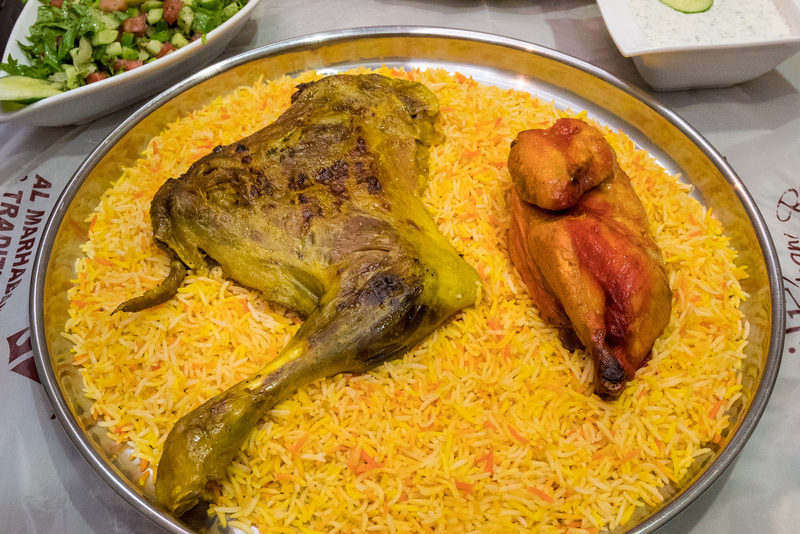 Al Marhabani Restaurant in Dubai is at the top of their mandi game, and they served what was easily one of my favorite meals in Dubai – that lamb drumstick will melt in your mouth! This is a little Dubai gem that Peyman brought me to. It’s a small Iranian grocery and convenience store, but the real reason you want to come here is to get your hands on regag bread. 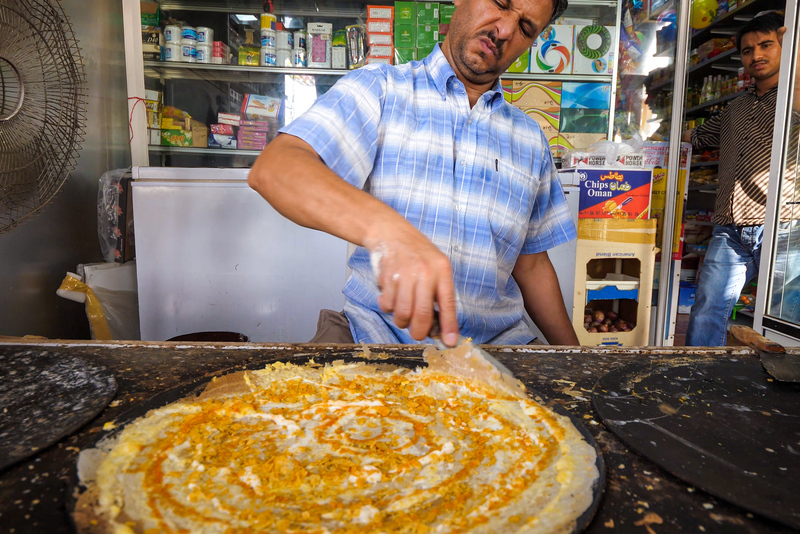 Regag bread is similar to a crepe or dosa, and I enjoyed the original the best, topped with egg, cheese, and Persian Gulf fish sauce. Legendary is an understatement when it comes to the food at AL Ustad Special Kabab – they’ve been around since before the development boom of Dubai – and they’ve remained a hugely popular local restaurant throughout Dubai’s history. It’s an Iranian restaurant, known most famously for their selection of kebabs, which are insanely delicious. I especially loved the yogurt marinated kebabs, but everything was outstanding. There’s no doubt it’s a meat lovers paradise. When I reached out on social media (by the, if you’re interested in current food updates, follow out my Instagram!) and asked where I should eat during my trip to Dubai, the overwhelming most recommended place was Bu Qtair. It’s a restaurant that started off as a street food shack along the ocean, but has since developed into an indoor, yet still local and bare-bones, restaurant. 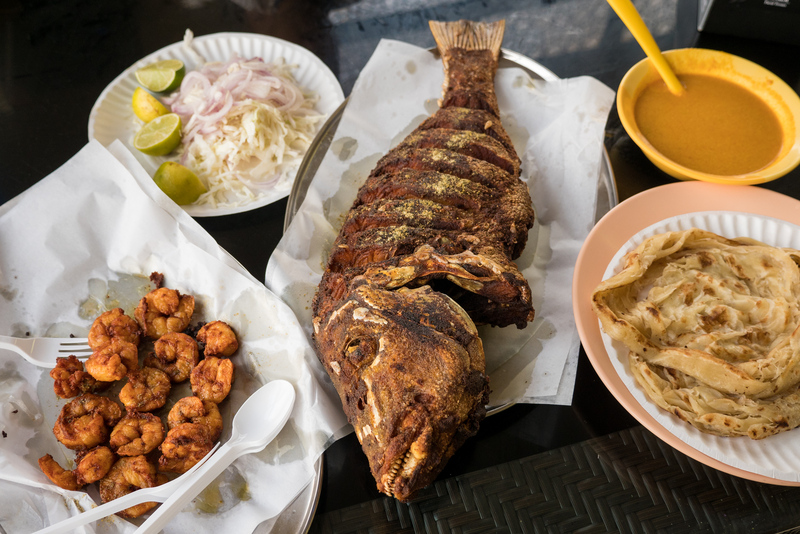 You choose your fish and prawns, which are all marinated south Indian style. 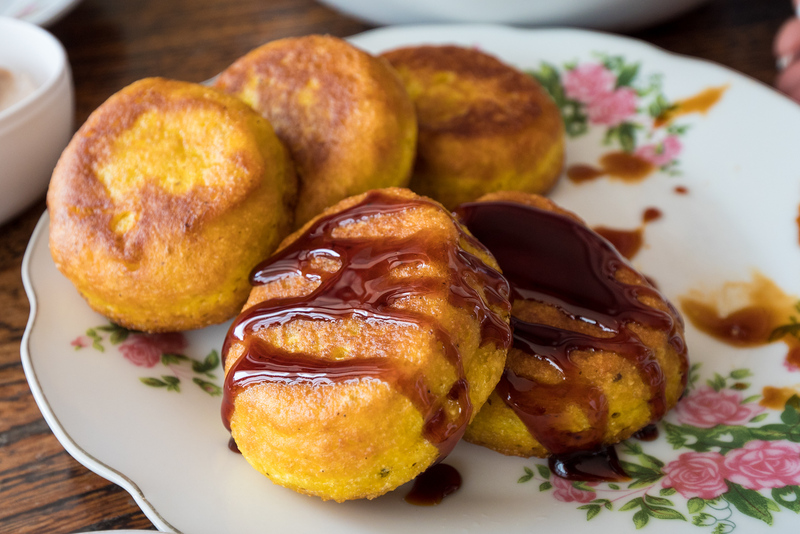 Then everything is deep fried, and it’s seriously tasty. Sheikh Mohammed Centre for Cultural Understanding is a cultural centre located in the preserved old town of Al Bastakiya. You can book for a chance to learn about Emirati / Middle Eastern culture, and also enjoy a meal while you’re there. The food was actually fanatic I thought, my favorite dish for lunch being their machboos – a dish of rice and in this case chicken with spices. Prices: For this meal I didn’t pay as I got complimentary tickets thanks to Visit Dubai, but prices are reasonable if you inquire on their website. Ravi Restaurant is known in Dubai for serving outstanding Pakistani food. Unfortunately, this is one restaurant in Dubai I didn’t have a chance to eat at due to scheduling and simply running out of time and effort. But I wanted to include it in this Dubai travel guide because many people recommended it to me, and it looks amazing. View from the 125th floor of Burj Khalifa! Burj Khalifa – At The Top – One of the top attractions in Dubai, an icon that reaches to the sky, is the Burj Khalifa, the tallest building in the world (as of 2017). 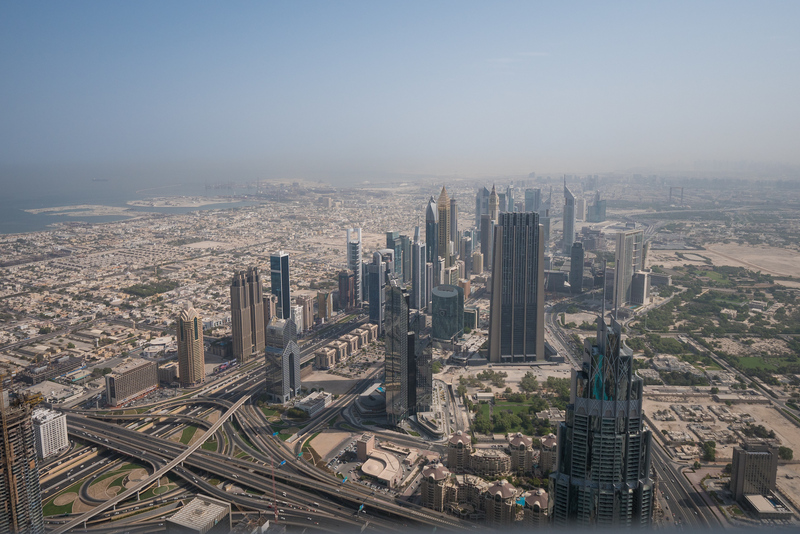 For the normal price ticket you can go to the viewing deck on the 124th and 125th floors. The view was impressive to say the least, even though it was a little hazy the day I went. Spice Souk – When you think of Dubai, you think of modern skyrise buildings. But what’s cool is that there’s still an old part of Dubai to explore. One of the top things I did in Dubai (after eating), was take the boat across the Dubai creek to the spice souk (market) to see the mounds of all things spices – from saffron to dried lemons to roselle, it’s all there. Atlantis, The Palm – One night in Dubai, my wife and I went to Atlantis Hotel for dinner. The buffet was alright, but nothing to rave about in my opinion. However, visiting The Palm island, walking around the hotel, and seeing the aquarium was pretty cool (although security wouldn’t let me out on the beach). To be honest, I didn’t do too many attractions in Dubai on my latest trip, partly because I was focusing on food, but also because I was there in the dead middle of the summer heat (45 °C (113 °F) and humid too, is not the greatest walking around outside conditions) when not too many activities outside are possible. Next time I’ll visit Dubai in the cooler winter months and be able to add to this list of things to do in Dubai. There’s pretty much every hotel you can think of represented in Dubai. However, depending on season, Dubai can be among the highest price per hotel room city in the world. So on my latest trip to Dubai, my wife, baby son, and I rented an apartment on Airbnb (use this link for $33 off your booking) next to Marina Bay in the new southern part of Dubai. I paid $106 per night, and it was an amazing furnished apartment, extremely spacious, and great value. Watch the video above (or click here to watch it on YouTube) for the full apartment tour. Dubai travel guide for food lovers! Thank you for reading this Dubai travel guide for food lovers! 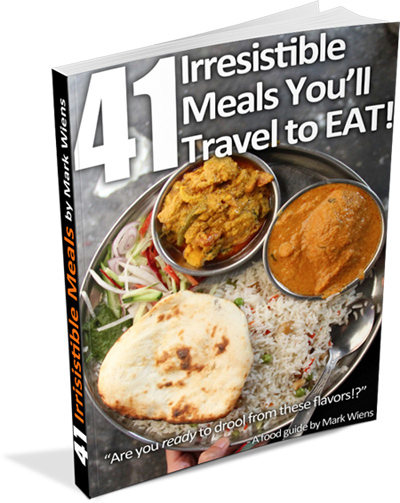 My aim is to keep these travel guides simple and to the point, and apart from a few exceptions, only include restaurants and tips that I’ve personally done or eaten. And everything in this guide is included within my Dubai video series. I hope this Dubai guide will give you some great ideas about what to eat and where when you’re in Dubai, UAE! Special thank you to my friend Peyman for bringing me to some of these amazing restaurants in Dubai. Camera gear: I filmed all the videos and photos using a LUMIX GH5 and this main lens and microphone. You can see all my gear here. T-shirts: T-shirts available in the store now.